Just how a wild boy without a birth name, was found in a German forest, adopted by a English king and came to live in the Chilterns, is just an astonishing story. Whilst on a hunting trip during a visit to his home, King George l, who was also ruler of the Duchy and Electorate of Brunswick-Lüneburg Hanover, came across a feral boy who got about on all fours. Of unknown age or parentage, he was said to “exhibit uncivilised behaviour’ and was unable to communicate. He had survived by scavenging what forest food he could find, and from the remains of a shirt collar around his neck, had been in the care of someone. He was given the name “Peter’ and brought to London in 1726 by the King’s daughter-in-law, Caroline of Ansbach, Princes of Wales. Peter experienced minor celebrity for a while, but after the public curiosity began to subside, Caroline Princess of Wales arranged for a Dr Arbuthnot to oversee Peter’s education, however all efforts to teach him to speak, read or write failed. Peter was then entrusted to the care of Mrs Titchbourn, a close friend of the Queen’s, along with a handsome annual pension of £35. 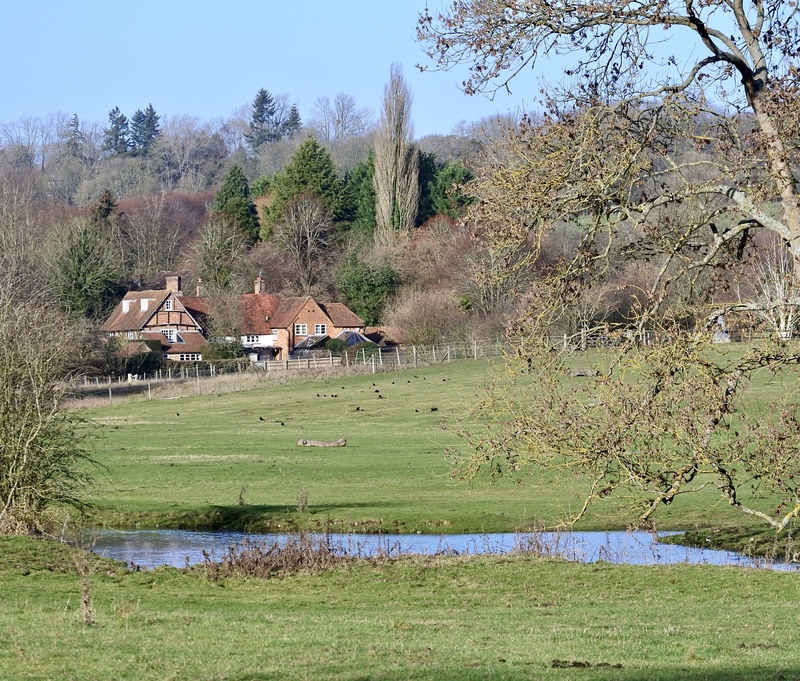 Mrs. Titchbourn usually spent a few weeks every summer at the house of Mr James Fenn, a yeoman farmer at Axter’s End, in the parish of Northchurch, which is how he came to live in the Chilterns. After the death of James Fenn he was transferred to the care of James’s brother, Thomas, and is where Peter lived with the several successive tenants of that farm until his death in 1785. The interior designer and painter William Kent included a depiction of Peter in a large painting of King George I’s court that today hangs on the east wall of the King’s Staircase at Kensington Palace in London. Peter is shown wearing a green coat and holding oak leaves and acorns in his right hand. In the late summer of 1751 Peter went missing from Broadway Farm and could not be traced. Advertisements were placed in newspapers offering a reward for his safe return. On 22 October 1751 a fire broke out in the parish of St Andrew’s in Norwich and as the fire spread, the local gaol became engulfed in smoke and flames. The frightened inmates were hastily released and one aroused considerable curiosity on account of his remarkable appearance and the nature of the sounds he made, which led some to describe him as an orangutan. Some days later he was identified as Peter the Wild Boy, possibly through a description of him in the London Evening Post. He was returned to Thomas Fenn’s farm, and had a special leather collar with his name and address made for him to wear, should he ever stray again. Peter died on 22nd February 1785 and is buried in the churchyard of St Mary’s Church, Northchurch. The headstone is engulfed by the large bush, so look carefully directly opposite the main door to the church and you will see it. In 2013, on the advice of English Heritage, the grave was given the Grade II listing it deserves. Inside the church is a commemorative plaque. No matter how many times I hear this story, I still find it incredible that not only was Peter the Wild Boy found by a king in Germany and given a home in another country, but that his story has survived at all. Long may we share and celebrate it. Peter is now believed to have suffered from the rare genetic disorder known as Pitt-Hopkins Syndrome, a condition identified in 1978, nearly 200 years after Peter’s death. The leather and brass collar designed to identify Peter in case he should wander away from the village and inscribed “Peter the Wild Man” is preserved at Berkhamsted School. I have updated and added to this post following a visit to the school to see the archive, you can read it here. 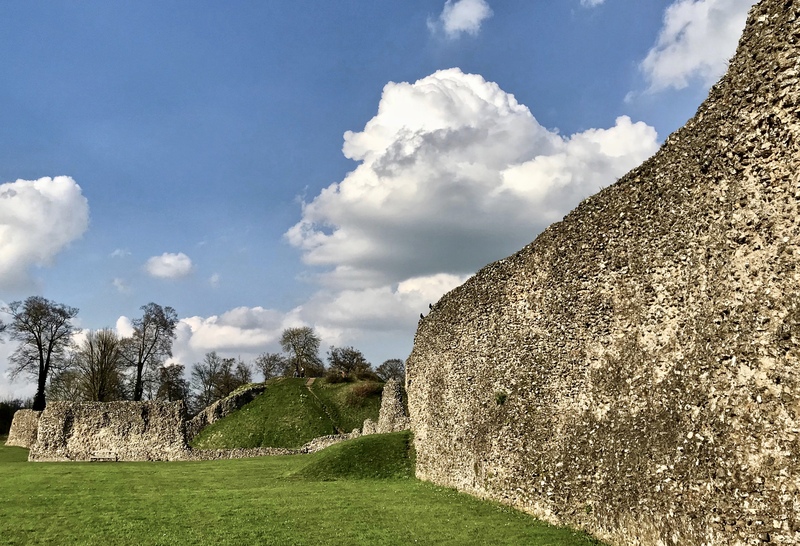 For further Chilterns adventures and inspiration or to explore Berkhamsted Castle. 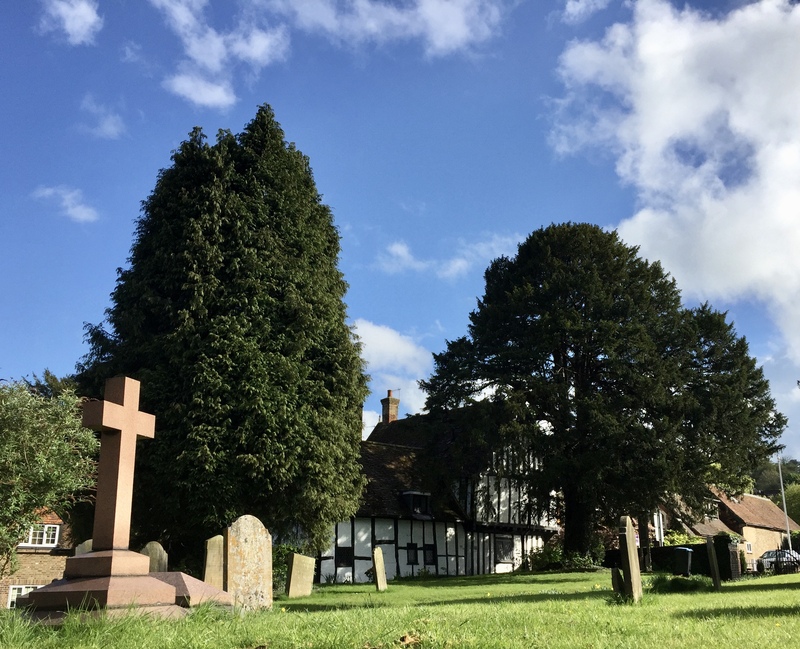 There are plenty more astonishing stories of Chilterns residents past and present, take a look here. Low-tech, quirky museums, often in intriguing buildings with windy stairs, dust and dated interior design, are to be treasured. 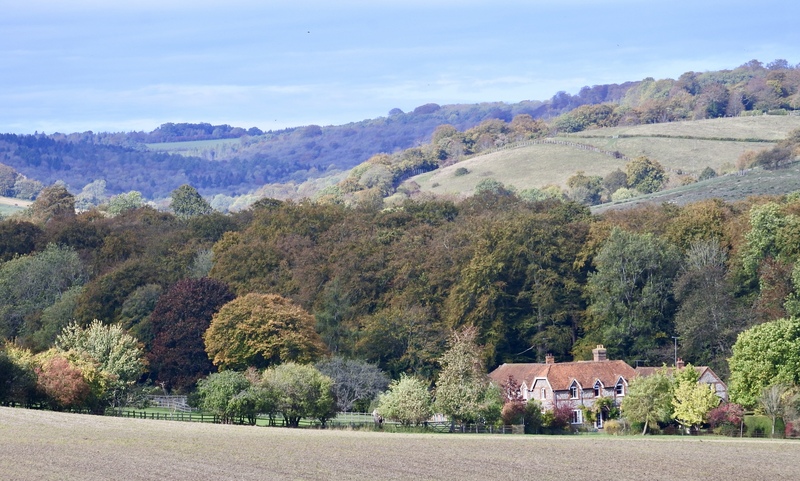 The Chilterns has its fair share, most under the radar, unless you live on the same street, that is where they will probably remain. One master, three books, 300 boys and 30 monitors. This is the inspirational story of one man’s vision to provide basic education for the children of Hitchin. Low-tech, quirky museums, often in intriguing buildings with windy stairs, dust and dated interior design, are to be treasured. The Chilterns has its fair share, most under the radar and unless you live on the same street, that is where they will probably remain. Blissfully unaware of its existence until recently, the British Schools Museum in Hitchin is one such place; the last surviving example in the world, packed with wonderful stories and eye-popping facts about English education. This, the northernmost town in the Chilterns, is probably the least well known of our market towns, and was once a national centre for lavender-production having grown and successfully exploited the crop since the 15th century. Now only one business, Cadwell farm is still producing and selling lavender products. The British Schools Museum is located on Queen street in the town centre, within the former Edwardian and Victorian school premises, in a number of buildings set close together. Near the site of former slums, whose young occupants would surely have attended the school, their dwellings in stark contrast with the outsized St Mary’s church, on the opposite banks of the river Hicca – a bold statement from a town doing well on wool. The pretty cobbled marketplace is surrounded by a mix of more traditional buildings, some medieval, jostling for prominence now amongst more forceful contemporary chain stores. Slightly further out of town however, Tudor and Georgian buildings that surround the town go some way in redeeming the local vernacular. The ‘font of Hitchin information’ Andy Gibbs, was our guide through the history of British schools, delighting in our discovery of many lovely stories and a museum collection made up of personal memories of former pupils or those who worked here and include incredible feats to trace former pupils: Andy showed us a plaque commemorating a soldier who died during WW1 that was heading for the dump following a house clearance, but it was sent to the school by someone who thought there was a connection. There was; the soldier was a former pupil! The Monitorial schoolroom was built in 1837 and though only partly restored, has both preserved and presented this forgotten world very well. I had never seen anything like it. The masters desk is the focal point with the sand tray where students would be practising and learning their handwriting, right under his nose. The three books were dispersed and their pages shared at the monitorial teaching stations around the room. One master to teach 300 boys assisted by 30 monitors by the Lancasterian method in the only known complete example of a monitorial classroom to survive in the world. The boys sat facing the master on benches at narrow desks and were taught by the monitors at semi-circular teaching stations around the walls. The room looks as it was in 1837, minus the radiators! Built to Lancaster’s specifications with clerestory windows and pillared side aisles. The floor originally sloped to give the master a good view of all his pupils – essential in such an enormous schoolroom full of children to maintain discipline. By 1900, 700 children were packed into the school, and three more classrooms were added. The desks, displays and teaching implements vaguely familiar to me from a time before wipe boards and Chromebook’s. Sitting at the now tight-fitting wooden desks brought much mirth to our group who recalled days sat in similar rooms trying to master mathematical theorems or the anatomy of a frog! Inside each desk are thoughtful displays of reading books, drawings, photographs and games from the Edwardian era. The school closed it’s doors in 1969, and the period between its closing and the opening of the museum was not without drama too, Andy told us it almost didn’t happen. But that’s a story for another day! There is nothing manufactured about this place, it’s genuine, a gem in fact, rooted in the local area, but so important to our collective national memories. But don’t take my word for it, experience this amazing space for yourself. Take your children, they’ll be as amazed as you. For further information on another delightful and unique Chilterns museum, the Natural History Museum in Tring is just how museums used to be, dressed fleas included. ..”unbroken lovelines, this is, perhaps the sweetest stretch of all the river.” Three Men in a Boat, Jerome K. Jerome. 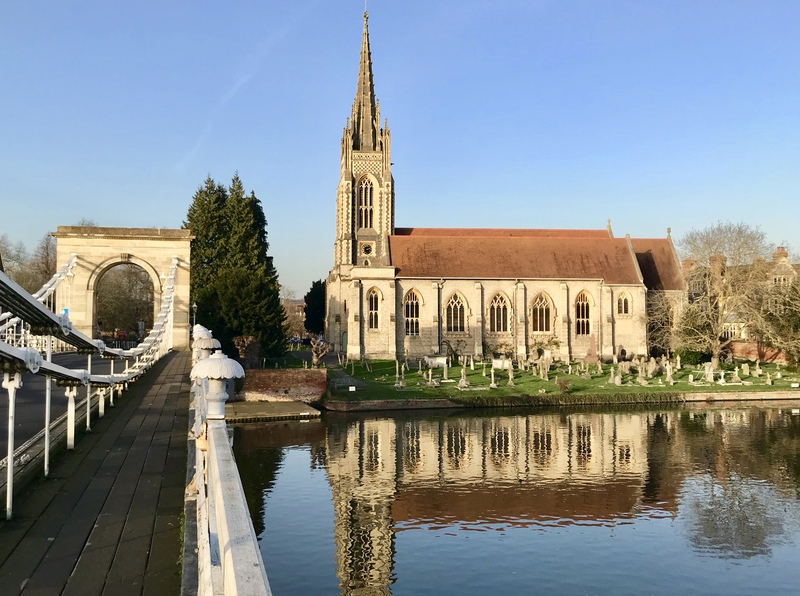 Itching to get away from my desk and take a walk to enjoy a warm autumnal afternoon, it was a tweet that spurred me into action to head over to Cliveden Reach, between Cookham and Boulter’s locks, the fabled stretch along the River Thames. I have visited the formal gardens at Cliveden, but that is only a small part of the vast 375-acre estate on the banks of the River Thames. I struck out from the Woodland car park and was soon enjoying the magnificent lime-treed avenue that leads to Cliveden House, an ornate mansion that crowns an outlying Chilterns ridge by the hilltop village of Taplow, near the busy market town of Marlow. 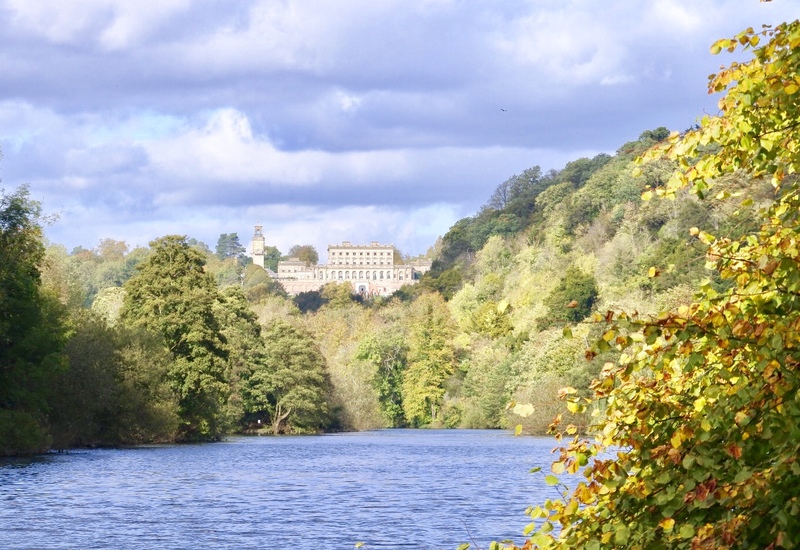 40 metres above the river, Cliveden means “valley among cliffs” and refers to the dene (valley) which cuts through part of the estate, east of the house. The site has been home to an earl, three countesses, two dukes, a Prince of Wales and the Viscounts Astor. And a particular scandal. The woodlands were first laid out by Lord Orkney in the eighteenth century on what had been barren cliff-top; they were later much restocked by Bill Astor but suffered badly in the Great Storm of 1987, the same year a section of a California redwood was installed in the woods. At a modest 5.03 m across, it is the largest section of a Sequoia gigantea in the country. The woodland is quiet, with paths leading off into the trees so I headed downhill towards the river along a steep footpath that had seen much use and repair over the years. I had to stop to enjoy the expansive views across the river to Berkshire, opening up each week as the leaf cover falls away. The river is busy with geese, swans, ducks and all manner of little birds, darting about in the foliage, the riverside path shady with overhanging trees, leaves drifting into the soft river mud. ..”unbroken lovelines, this is, perhaps the sweetest stretch of all the river Thames.” Three Men in a Boat, Jerome K. Jerome. I passed the infamous Spring cottage, awarded Grade ll listed status in 1986 and in 1997 the hotel company which leased Cliveden House from the National Trust also acquired the lease to the cottage. A small fortune was spent restoring and refurbishing the dilapidated building before it reopened in 1998 as a self-contained luxury let. Luxurious it may be, but it is hardly private with the path passing within feet of the building, hampers and cottage life visible through the windows. One of four structures that was built in 1813, it saw many uses by the family and their guests, until in 1957, the cottage was leased by Stephen Ward for use as a weekend retreat and party house. Christine Keeler and Mandy Rice-Davis stayed here, with a chance encounter in 1961 between Christine Keeler and John Profumo at the now infamous Cliveden swimming pool, led to the so-called Profumo Affair that almost brought down a government. The path then opens up onto a sunny riverside lawn, with another cottage, boathouse, small jetty and 171 steps up to the Parterre in front of the house. No dogs allowed! I don’t mind, it’s more informal here, in fact a good place to spread out and relax on the lawn. The Victorian boathouse has undergone extensive repairs, and you can see recorded on the brick wall a the entrance, historical flood levels. Choose to cool off in the river, on the Thames or alongside. If it hadn’t been for this couple quietly enjoying the sweetest Thames view from their bench, I would have missed the best view of all! 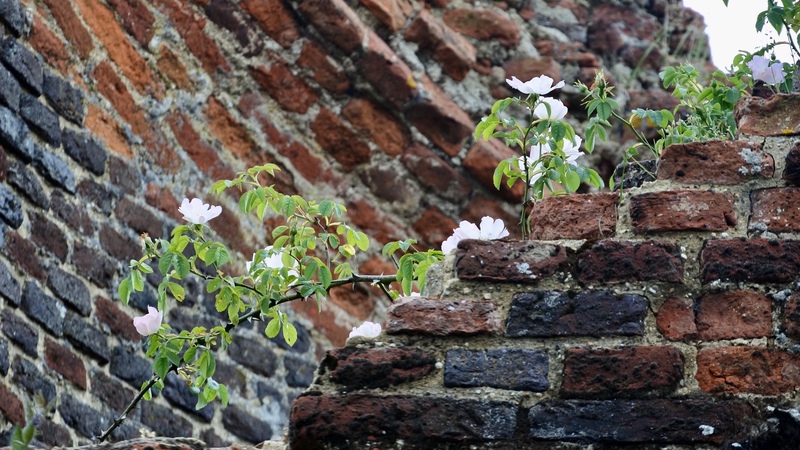 Visit the beautiful Rose Garden at Cliveden, although I expect it’s much changed from when I visited. For further information on what to see and do in the lovely Chilterns VisitChilterns.co.uk or to spend time on the water at Cliveden. Short break escapes: relax and stay by the river at Ferry Cottage.